Electricians and plumbers are not the only types of contractors. There are also housekeepers, window cleaners, painters, carpet cleaners, and many more. 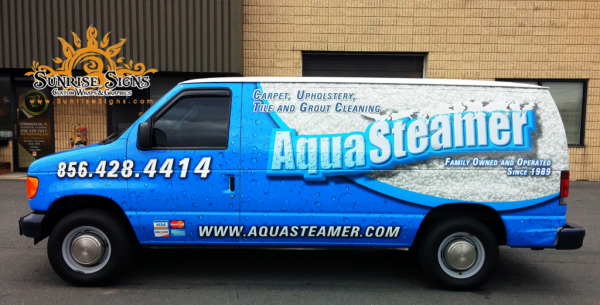 AquaSteamer carpet and tile cleaners recognized that they were in a competitive market and wanted a way to get their name in front of potential clients 24 hours a day, seven days a week. So, they turned to Sunrise Signs for Ford Econoline van wraps.